We are full-time, faith-based missionaries in the country of Honduras. We have worked with children that have been orphaned or abandoned by families for more than a decade. When we began to discuss the idea of expanding our family, we decided that would do so through adoption. However, we were not actively seeking a child nor waiting for a birth mom as is the case with so many adoption stories. We were simply introduced to the face and story of a 10 year old Chinese boy named Samuel. It was then that we feel like we heard Heaven whisper to our hearts. This little boy had been through abandonment and rejection multiple times in his little lifetime. We do not pretend to know what we are doing, but we do believe that God has called us to be his family. We also believe that God's grace will be sufficient to guide us through each day. We commit to speak words of truth, life, and hope to him. We commit to share with him about a Savior who will never leave him or abandon him. We believe there is hope for restoring his broken heart, and giving him a bright future. We believe that his past can be redeemed. Will you commit to pray for us as we transition to be a family of five? 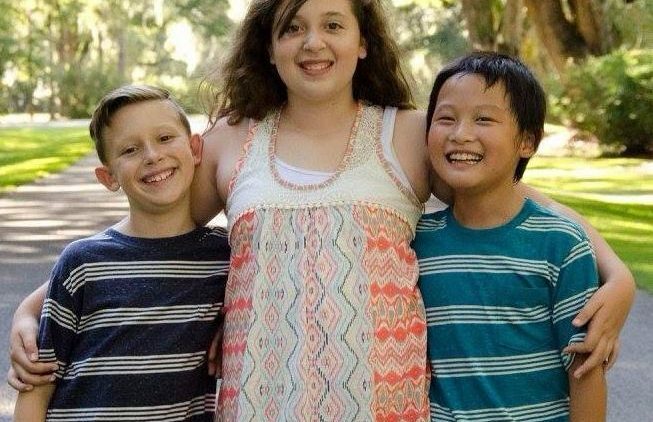 Since we are responsible for raising our own family's support and our ministry support, we do not have the funds for this adoption just laying around. We do, however, believe that God uses ordinary people like you and me to help meet needs. Will you also consider giving to help us meet the financial costs involved in this adoption? I pray God's blessings on your (growing) family. From the pictures I've seen, it looks like Sam fits right in. Thank you for your obedience to the Lord and His word. How blessed you are to have found each other! Sam will get to experience a lifetime of love and learning with the Pizzatis. Wishing you all the best. Thank you for inspiring us with the work you do in Honduras!